Melt the shredded mozzarella & add the almond flour. Stir until well-combined. Roll the dough out between 2 sheets of parchment paper. 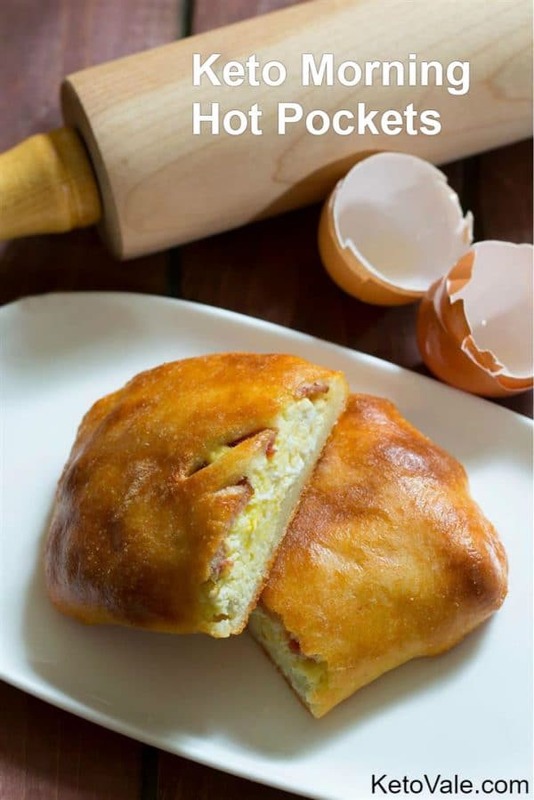 Scramble the eggs in butter and lay them with bacon slices along the center of the dough. Fold over and seal the dough. Add some holes on the dough surface using a fork. This helps release the steam while baking. Bake at 400°F for about 20 minutes or until it turns golden brown and firm to the touch. Remove from oven and enjoy!